Caregiving Instructor: Caregiving is not just about feeding and clothing and cleaning. It is also about understanding how to navigate a complicated relationship between those who give care, and those who are in need of it. If you find yourself lost, frustrated, confused, you can always come back to this helpful mnemonic device: ALOHA. Ask, Listen, Observe, Help, Ask again. Netflix Originals are gonna get better if they keep doing this. 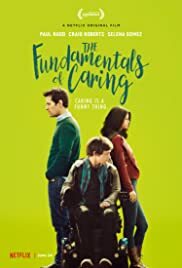 The Fundamentals of Caring is a good film. I've never seen Paul Rudd in a drama before, but he surely did nail this role. 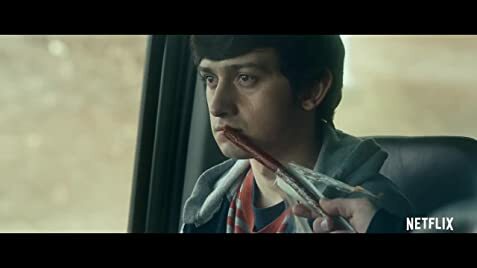 His character is a caretaker for children, and he starts caring for a handicapped boy who shares his thoughts about family. I've never seen a Netflix Original movie, excluding Calibre, that I can actually call: "worth your time". Selena Gomez is also in the movie. Although her character is a little aggravating and hard to like, she does fulfill her character arcs and grows from a broken and traumatized person, to a fixed and light-hearted person in the end. This goes for all the characters In the film as well. I also admire how this film is based on a novel, and has no narrator. Films like Ready Player One and The Kissing Booth, have unnecessary narration. The Fundamentals of Caring does not have this though, which makes it more subtle and easier to love. This film is definitely worth the watch and I'm giving it a 7/10.